After our face, our hands are often our most exposed body part. The skin on the hands tends to be delicate and therefore is prone to the damaging affects of the environment and aging. Age spots or visible veins and bony hands may make a person look older than she is. Age spots and pigment can be improved with photorejuvenation, Fraxel Skin Resurfacing, chemical peels and laser skin tightening. These nonsurgical methods of skin rejuvenation are designed to modify the cellular structure of your skin to make it healthier and stronger. Volume loss in the hands is caused by loss of skin elasticity and fat depletion. Both of this issues are caused by age, trauma, environmental damage and to a certain extent, weight fluctuations. With volume loss, the bones in the hands become more prominent and you end up with hands that can add years to your age. There are a number of treatment options available to replace volume loss and improve skin quality. One popular treatment for volume replacement is fat transfer. This technique takes fat from one part of your body (usually your stomach or inner thighs) to use it to “plump up” your hands, thereby hiding boniness with a healthy cushion of fat. Dr. Kesarwani was one of the first surgeons in North America to perform fat transfer to the hands. He has been doing it since the 1990s. 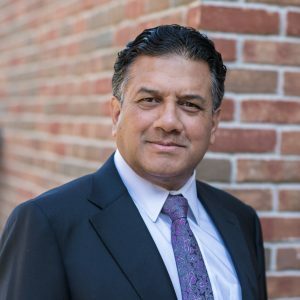 As a board certified plastic surgeon, it’s quite common to use fat grafts to correct a wide variety of aesthetic and functional issues, so Dr. Kesarwani has extensive experience in this area. Another way to restore volume is to use injectable filler products, such as Sculptra and Juvéderm. However, these methods tend to yield results that don’t last as long as fat transfer. Restoring skin quality can strengthen the skin on your hands and make it more supple. Treatments such as photofacial rejuvenation and Fraxel Skin Resurfacing can boost collagen production and make your skin more youthful.